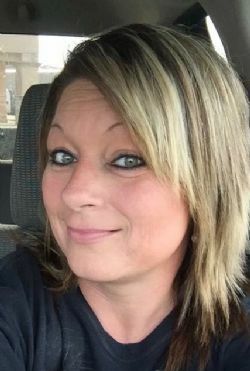 Tonya Elizabeth Hudson Eaton, born October 7, 1973 in Woodruff, South Carolina, went to be with the lord October 4, 2018 in Oyster Creek, Texas at the age of 44 years. Tonya’s true love was her children and her grandchildren. She was a very strong, independent woman always doing things herself. She worked selflessly to ensure others were comfortable and taken care of. Some of her favorite hobbies were being on the beach, fishing, mud hogging and anything out doors. Her loving family includes: son, Wade Eaton; daughters Consteance Perry & husband Anthony, and Emily Munsell; parents, Jimmy and Debbie Halliburton; grandmother, Sally Cates; sister, Connie Kimich & husband Buff Prude; grandchildren, Chaystin, Claystin and Raystin, Mallory, Eloise, Ben, Emma; nieces, Lindie Johnson, Kylie Boring-Prude; best friend, Cindy Finn; numerous other relatives and a host of friends. Preceded in death by her father, Doug Hudson; grandfather, Buke Cates; uncle, Mike Cates. A gathering will be held at Lakewood Funeral Chapel, 98 Dixie Drive Lake Jackson, Texas on Wednesday, October 10, 2018 from 6-8PM. In lieu of flowers, donations may be made to lupus.org in honor of Tonya Hudson Eaton.